SHETLAND Islands Council and transport partnership ZetTrans are looking for the public’s views on the future of local inter-island transport. Events will be held across several islands next week in addition to an online survey being launched. Feedback from the sessions will allow the council and ZetTrans to assist the Scottish Government in considering the funding of the service in the future. The SIC previously expressed its desire to see its inter-island transport treated the same as the Western Isles, where ferries are funded by the government. 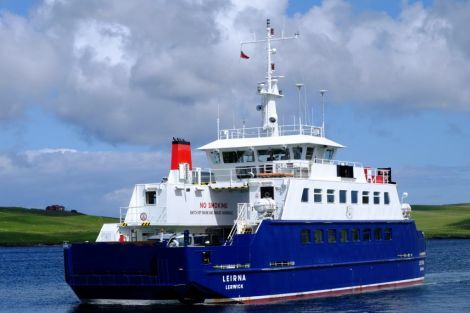 The local authority has already undertaken the Shetland inter-island transport study, which explores the needs of transport links over the next three decades. ZetTrans and SIC environment and transport committee chairman Michael Stout encouraged as many islanders as possible to take part in the public sessions. “We are now at a critical stage in an extensive piece of work with Transport Scotland to plan for the next 30 years of inter-island transport in Shetland,” he said. “We’ve gathered a huge amount of information from communities in recent years, which, along with feedback from these events, will be crucial to the proposals put forward to the Scottish Government on future funding and provision. Those interested in completing the survey should visit here.